What is CBD Oil? Is it Safe? Does it Help with Anything? Cannabinoid or commonly known as CBD is one of the non-psychoactive elements that naturally occur in the cannabis sativa plant. It is also found in some strains of hemp which is one of the tough fibrous parts of the cannabis herb. CBD oil is basically extracted from the stalks of hemp or CBD flower. The extract from the CBD flower is then diluted with a carrier oil such as olive or coconut oil. Most of the CBD oils that are used for the medicinal purposes come from hemp. Both anecdotal evidence and the scientific studies show that the use of CBD oil is beneficial in reducing the symptoms or a wide range of ailments. The aforementioned functions are just a few that cannabinoids regulate, there are many more. So as we age, our ECS starts to age as well, and it becomes cumbersome for it to maintain balance in our body because we run low on cannabinoids. So the question is how do we replenish the required amount in our body? Well, a good source is CBD flower/plant. The phytocannabinoids (phyto = plant) naturally stimulate the ECS and helps body gain balance. Crystalline Isolate: These products contain zero taste, and they have zero chance of failing a drug test because they do not contain THC (see the difference of CBD and THC below to know more). But the only downside in these products is that they are so stripped of all the nutrients from plants that they become weak. And that means it takes a lot of CBD dosage of these products to start to feel CBD effects. Full Spectrum CBD: These products are less refined than the crystalline isolate products and also contain some THC to strengthen the effects of CBD. But the downside of these products is that there is a risk of failing a drug test. Also, their taste can be bad if there is no use of flavor. Unrefined Full Spectrum CBD: They have THC that amplifies the effects of CBD, and they have many other types of cannabinoids as well including CBG, CBN, CBDV, plant sterols, omegas 3, 6, 9 and terpenes, and so on. The downside with these products is that they contain THC that has a risk of failing a drug test. Also, their taste can be very earthy if there is no flavor present. Now that you know the categories of CBD products let’s have a look at the difference between CBD and THC. Cannabidiol known as CBD and tetrahydrocannabinol known as THC are the two most widely used and popular compounds out of the 100+ compounds in the cannabis genus. The interesting thing is that both of these compounds are extracted from the same plant family, but upon consumption, both have different effects on your body. THC is a psychoactive compound that stimulates the release of dopamine and activates the cannabinoid receptors. It can alter the brain in several ways and can induce a sense of euphoria or “highness.” While on the other hand, CBD is the non-psychoactive compound that does not have a “high” effect. CBD can produce some great health results on its own and treat problems like sleeplessness, anxiety, depression, and stress. According to research; if CBD is combined with THC, the psychoactive effects of THC and other negative effects like increased anxiety and paranoia can be reduced. According to one study that was published in 2011; the chronic use and the high dose of CBD up to 1,500 mg/day are well tolerated among humans. But that doesn’t mean that you should start to consume 1,500 mg CBD per day. The dosage tolerance varies from person to person. There is a chart published by “How Much CBD Should I Take” that provides a general idea on where to start when you are new to CBD based on your weight and severity of the condition. You can start with the amount of CBD that fits according to your body size and condition’s severity and then you can adjust the CBD dosage according to your needs and its effects on your body. After going against the cannabis industry for decades, scientific research institutes have recently begun to understand the benefits it can provide a human body with. Even in the early research, scientists have discovered that CBD oil can be used to treat a wide range of physical and mental ailments. Heart Disease: According to day by day growing evidence, CBD can be helpful in treating heart diseases and giving strength to the cardiovascular system by providing protection against the inflammation and other types of damages related to the heart. Cancer: Scientists avoided the usage of cannabinoids due to their psychoactive effects. But, they are now becoming interested in the use of non-psychoactive CBD oil for the potential treatment of cancer. According to recent research, the use of CBD oil and cannabinoids have to ability to slow the spread of cancer and may also cause the death of cancer cells. Glaucoma: According to discoveries made by researchers, CBD can potentially be used to treat glaucoma with topical therapy. CBD and other different cannabinoids have been observed to protect the neuron cultures from dying due to glutamate. Irritable Bowel Syndrome (IBS): Cannabidiol has been named as an effective treatment for the IBS due to its ability to control the neuroimmune system, central system, and immune system. Seizures and Epilepsy: Researchers have become highly interested in the usage of CBD for the treatment of seizures and epilepsy especially for children. The reason behind their interest is the anticonvulsant properties that CBD and other cannabinoids contain. Chronic Pain: CBD oil for pain has been shown to reduce inflammation and helps with several chronic pain diseases including multiple sclerosis and arthritis. Acne: Due to the anti-inflammatory properties of CBD, it can aid in treating acne, and a variety of other skin conditions and that is the reason that there are various CBD lotions currently being sold in the market. Sleeping Disorders: One of the most interesting and highly useful properties of the Cannabidiol is the promotion of restful sleep. Researchers have just recognized CBD for its benefits in sleeping, but many cultures have been using it for centuries as an aid in promoting restful sleep. According to modern research, CBD can be used in many ways to help improve sleep, reduce stress, alleviate pain and regulate sleep patterns. Depression: Suicide and depression have been linked to the abnormalities in the endocannabinoid system. And according to research, CBD oil can be very helpful in increasing and stabilizing the release of a natural mood regulator; serotonin. Stress: According to some findings, the endocannabinoid system is linked to the regulation of different emotional behaviors including stress. And as you know by now that CBD oil regulates the endocannabinoid system, so it is helpful in reducing stress as well. Anxiety: The day by day increasing evidence shows that CBD may be helpful in reducing symptoms of anxiety. CBD oil for anxiety may be a powerful treatment for several forms of anxiety including OCD, post-traumatic stress disorder (PTSD) and social anxiety. Though CBD oil benefits are not just limited to these mental ailments, the aforementioned ones are the most commonly noted CBD benefits. However, using CBD is not all rainbows and sunshine, there can be some CBD oil side effects as well. Increased Appetite: CBD oil can cause feelings of hunger just like different other cannabinoids. This means that if someone is having an increase in appetite, not only will their eating pattern will change, they will also start to gain weight which is an indirect CBD oil side effect. Dry Mouth: Just like other cannabinoids, CBD oil can also interfere with the production of saliva and cause cottonmouth which is basically dry mouth. This condition can lead to feelings of mild discomfort and thirst. Nausea and Diarrhea: Some of the people who take CBD oil have also reported feelings of nausea. Furthermore, some people, upon taking high CBD oil dosage, also reported diarrhea. So it is advised to lower the dosage to avoid diarrhea. Dizziness: The use of CBD oil may also cause a little drop in blood pressure in some cases. This can result in minor feelings of lightheadedness or dizziness. Tiredness: Though CBD oil benefits include helping with sleep, it can also cause feelings of drowsiness. These feelings of drowsiness and tiredness can last anywhere between two and six hours. So these are some common CBD oil side effects. If you are feeling anything like that, it is better to pay a visit to your physician. There is a wide range of CBD topical products that contain CBD oil such as CBD Lotions, ointments, balms, salves, soaps and so on. These products are rubbed on to the skin which means they only interact with the uppermost layer of the cells of your body without entering into your bloodstream. The topical CBD oil products are manufactured to provide relief from pain, inflammation, stiffness and different skin conditions like acne, rash, and dryness etc. When topical CBD oil products are rubbed or massaged onto the sore joints, muscles or damaged skin, the CBD oil effects are focused on these areas instead of entering your bloodstream and being distributed to your whole body. Currently, the most popular way of taking CBD oil is through oral ingestion. There is a huge market for CBD edibles that basically contain CBD oil in them but in the form that can be ingested such as CBD gummies, CBD honey sticks, CBD tea, CBD coffee beans, CBD cake pop and CBD capsules etc. CBD oil also comes in CBD tinctures that can be consumed by directly mixing them into your food or dropping them into your mouth. Whether you eat the CBD cake pop or take CBD capsule, the effect is going to be very similar. The CBD oil passes through your digestive system and metabolizes in your liver before it enters your bloodstream when you take it orally. Simply put, it is just like taking a supplement or vitamin. As compared to other methods of taking CBD, oral ingestion may take a bit longer to kick in but CBD effects through this method will last longer. This method of taking CBD is recommended for conditions like anxiety, insomnia, and stress or for people who want to promote restful sleep. When talking about sublingual administration, there is one product that is very popular and its CBD tincture. Besides taking CBD tinctures orally or mixing them in the food, you can also consume them by putting a few drops beneath your tongue. It is a quicker way of experiencing CBD effects because when it is taken sublingually, CBD gets absorbed through the blood vessels that are present beneath the tongue and then instead of going through the digestive system, it directly goes into the bloodstream. While the oral ingestion can take anywhere from 30 minutes to two hours for full effect, the sublingual consumption can provide CBD effects in as little as 20 minutes. This way of taking CBD oil is ideal for migraines, acute stress and pain. Another option of taking CBD is through vaporized consumption. It involves CBD vape cartridges that contain CBD oil. The cartridges are attached to vape pen or another type of vaporizer devices and then upon heating, the oil starts to vaporize which is then inhaled by the user. It is directly inhaled into the lungs where it is distributed into the body through the bloodstream. Vaporizing is also a fast absorbing and very potent method that is often preferred by people who are experiencing panic attacks or are in need of something powerful to relieve their pain instantly. So these are some of the methods of taking CBD, there are a few more methods, but the most commonly used ones are these four mentioned above. There are a lot of unclear things regarding the question “is CBD Oil Legal?” This is because the laws surrounding marijuana and hemp-based CBD oil vary from state to state on a local level. 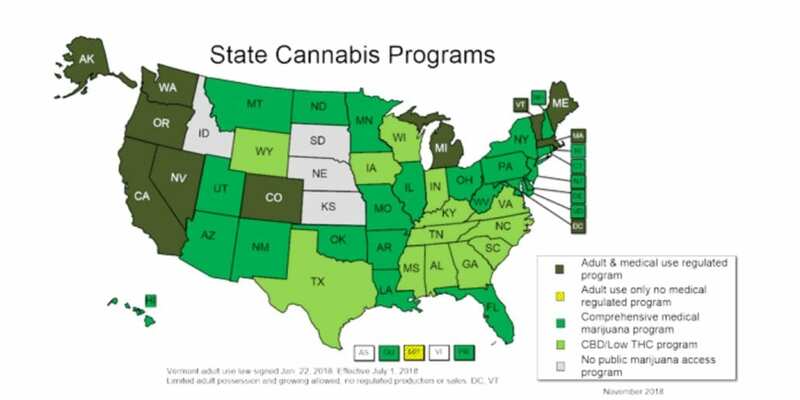 According to the NCSL (National Conference of State Legislature), there are currently 10 states where the recreational and medical use of marijuana THC and CBD is legal. Also, currently, a total of 31 states and the districts of Columbia, Puerto Rico and Guam have legalized the medical purpose use of cannabis and marijuana for the public. Beyond those 31 states, there are 15 states with restrict access to CBD products that are derived from the industrial hemp with less than 0.3 THC. Meanwhile, four states; Idaho, Nebraska, Kansas, and South Dakota lack the legal concessions regarding low THC and CBD products. 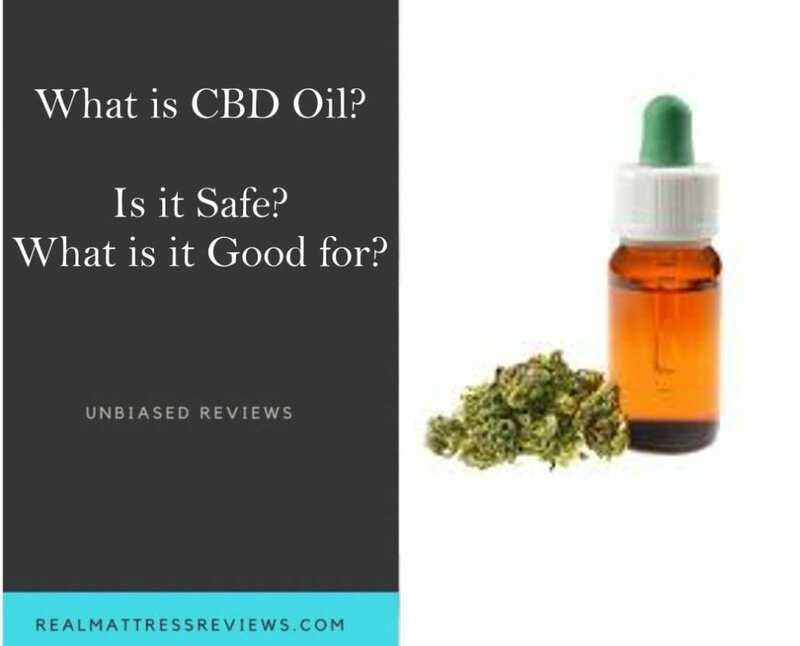 Unreliableness: There are many uncertainties regarding the legality of marijuana, and that’s why there is not much FDA regulation related to CBD oil. This lack of regulation can result in the difference of quality, purity, labeling and reliability of CBD products. Toxicity: According to research, CBD oil doesn’t have very high toxicity, but not all potential interaction of CBD have been studied yet. Furthermore, there is still a need for more research on the effects of CBD on the immune system, embryonic development, and hormones. Overdosing: Though there have been no fatal levels reported with CBD oil overdosing, studies show that people can tolerate quite a high CBD dosage. However, high doses may also result in side effects such as nausea, drowsiness and so on. Shortage of Concrete Information: While many CBD benefits have been observed in animals, there are still not enough studies and researches regarding its effects on humans. There is also not enough data available regarding the CBD effects on children or people who use it for the long term. Drug interactions: According to many studies, CBD oil can interact adversely with some drugs. CBD inhibits P450 which is a liver enzyme that metabolizes several medications. This means certain doses of CBD can potentially impact the metabolization of medicines like steroids, antihistamines, and anti-epileptics. Due to the risks associated with the use of CBD oil, it is strongly recommended that you first consult with your doctor before taking any kind of CBD oil products. There are various pharmacies and stores that sell CBD oil across the U.S., but all of their selling policies fall under the laws of their respective states. This means you first need to read the laws of your state concerning the purchase and use of CBD oil products and only then purchase them. There are also several online CBD stores that you can purchase the CBD from, you can just type “CBD oil near me,” and you will get the websites of stores that are within your vicinity. There is no doubt about the tons of CBD benefits, but there are some CBD side effects and risks as well. Also, there is an issue of its legality depending on your state. So it is best if you first consult with your doctor regarding whether you should take CBD or not and only then decide something. Also, please study the laws of your state regarding the purchase and use of CBD oil and marijuana to avoid any legal issues.